Stolen mixed things up with two new colorway options for the 2019 Stolen Zeke XLT. One option is an eye-popping “yellow jacket” colorway. I’m not sure if they took cues from some of the race frames out there currently…but that yellow, along with the new graphics, definitely reminded of that. The second option is definitely more stealth. “Black with Urban Camo”. The urban camo part comes from the black & white camo tires on this version. An interesting look for sure! The Zeke XLT is all Cro-mo, features 100% sealed components and 48-spline cranks, and now sports a new longer 300mm Pivotal post for you to raise up if you just want to sit and cruise (or wheelie). Get the full spec breakdown here. I think I’m more partial to the yellow colorway. The ever-popular Stolen Saint XLT and its newer 26″ cousin, the Zeke XLT have been updated for 2017. The Stolen Saint XLT retains its main selling points: full chromoly construction, 48 Spline Cranks and double-walled rims. What’s new this year is a slightly revised geometry. Available in Satin White with Camo accents or Chrome Plated with Black accents (both versions look pretty trick in my opinion). It’s no secret that I’m a big fan of tanwall tires and the Saint XLT has those too…on their also ever-popular Joint tires. The 26″ Zeke XLT stays essentially the same geometry-wise to its 2016 predecessor (You can check out the full specs here). It also retains its full chromoly construction and sealed components. What has changed is its look. New for 2017 is the choice of a shiny red or flat black colorway (both with black components). Note: tanwalls only on the black version. Some well-spec’d bikes with killer looks…hard to go wrong here folks. 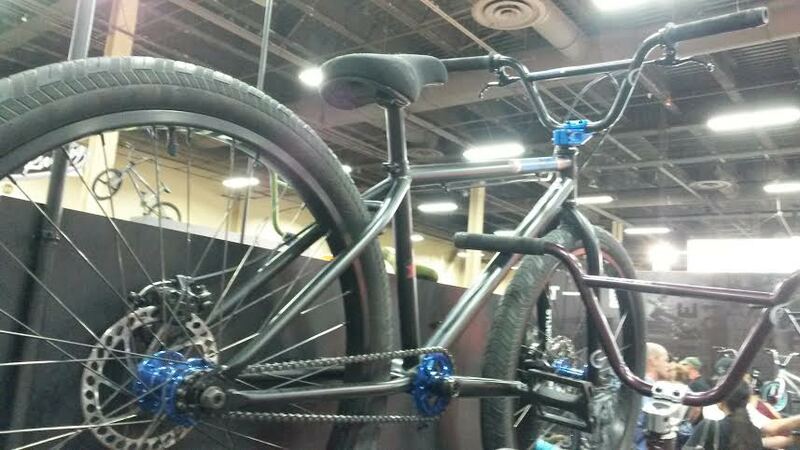 Walking around the displays at Interbike, it’s hard not to think that 26″ freestyle cruisers are having their moment in the sun right now. 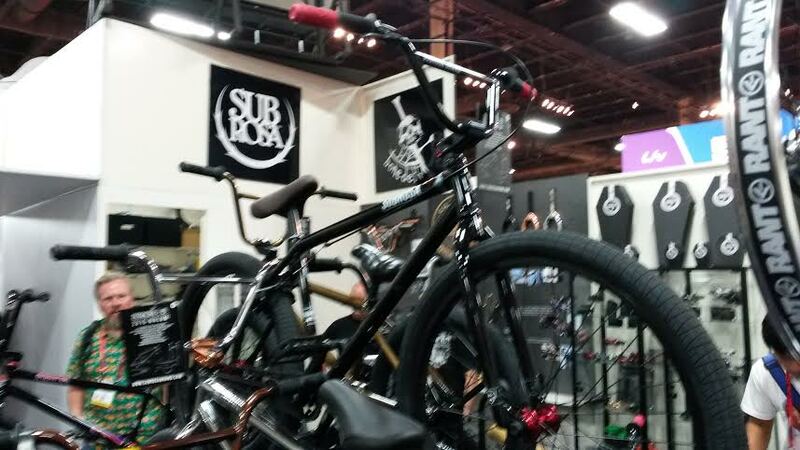 With Subrosa deciding to add the 26″ Malum to their lineup this year. To the Fairdale Taj with it’s retro design cues. To Volume, who has been down with the 26″ for some time now…in this case, the Hessian. 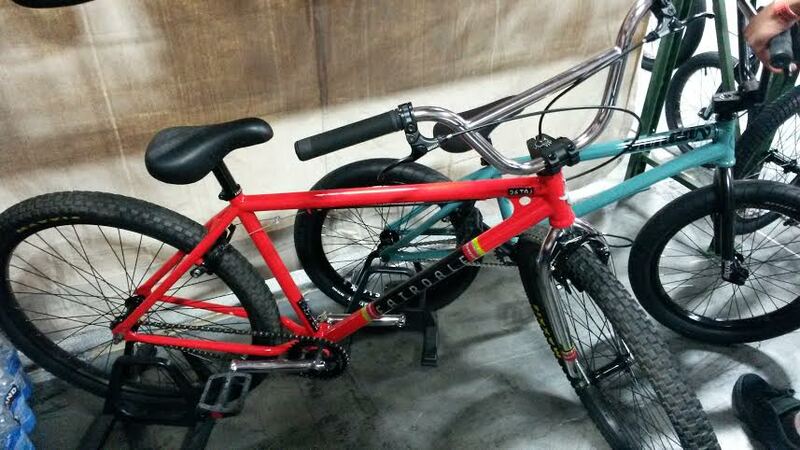 But the 26″ that really caught my attention was the Stolen Zeke XLT. 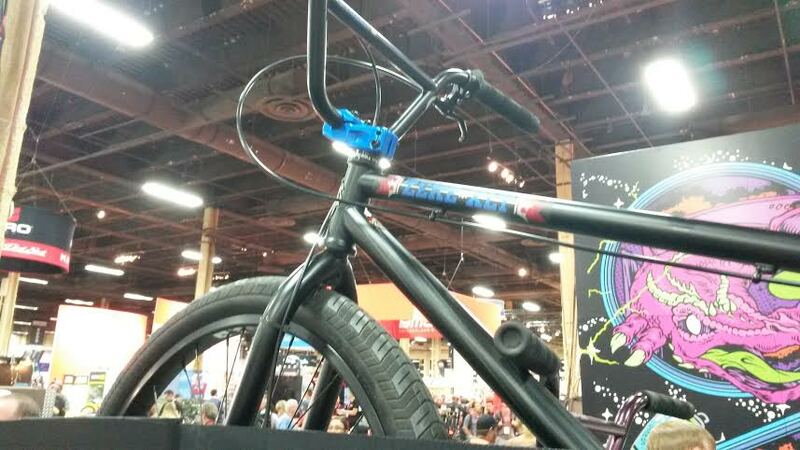 Following the same nomenclature as their 24″ models, the Zeke XLT is a full cro-mo version of the tri-moly 26″ Zeke that turned heads at last year’s Interbike show. Sporting a cool matte black with blue colorway, the display model was shown with disc brakes. While 990-style brakes come standard on the Zeke XLT, the display model was outfitted with the disc brakes to show that the bike was “disc ready” and could be switched over if so desired. Certainly some great options in the 26″ side of things. I wonder if the increasing popularity of 26″ bikes will prompt We The People to bring back the 26″ Champ cruiser…not that I would want their 24″ offering, the Atlas, to disappear. 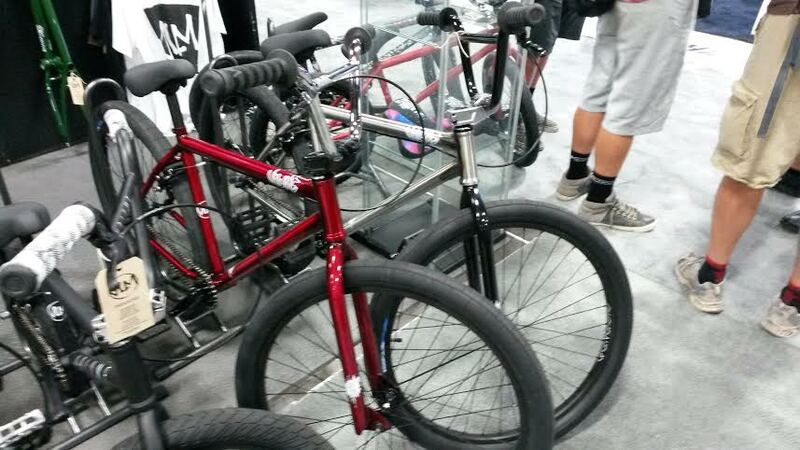 More Interbike coverage to follow.